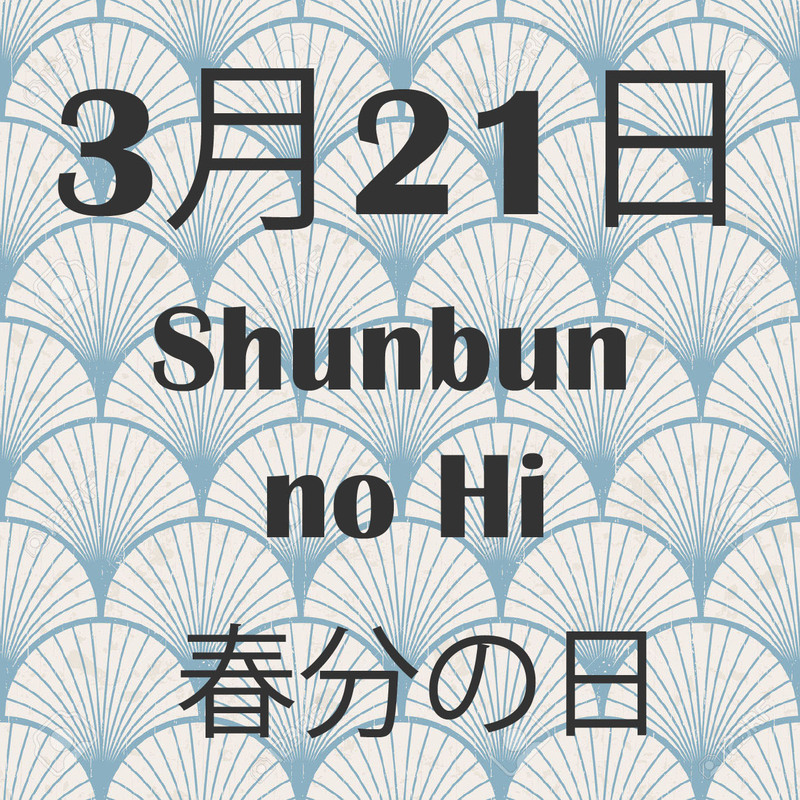 Spring Equinox Day, or Shunbun no Hi (春分の日) in Japanese is a National Holiday that is usually held around March 20 or 21. The holiday occurs on the date of the vernal equinox in Japan Standard Time, and is not determined until February of the previous year. This year, the holiday falls on Monday, March 21. It is a day in Japan to admire nature and the love of living things. The national holiday was first established in 1948, and marks a time when night and day are equal in length. Prior to that it was the date of Shunki Koresai (春季皇霊祭) an event relating to Shintoism. To separate religion and the state in post-war Japan, it was repackaged as a non-religious holiday. How is Shunbun no Hi Celebrated? 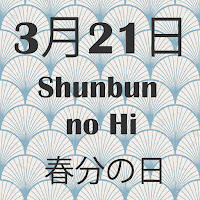 Shunbun no Hi is a holiday celebrating spring in Japan. It is a boundary marking the end of winter coldness and the start of the warm of spring. The three days immediately before and after Shunbun no Hi is a seven day period called the spring equinoctial week or higan in Japanese. It is a time to follow traditions and visit family graves to pay our respects to ancestors. People will visit their loved ones’ grave sites to sweep the gravestone, clear debris, leave offerings of food and fresh cut flowers, and burn incense to console the spirits. Many people usually return to their family homes to spend time with their families, as well as head outdoors to enjoy the beautiful blue skies and warmth of spring. The cherry blossoms are usually just about to open at this time of the year in Japan, so it is a wonderful time to appreciate the beauty of nature after a long winter.